Fill your kitchen with whole, healthy food and you’ll eat whole, healthy food. If you don’t have cookies and ice cream in the house, you’re less likely to take a trip all the way to the grocery when the cravings strike. It’s vital to fill your home with healthy snacks like nuts and fruits so that you won’t be tempted to eat unhealthy foods when you get a hunger pang. Your physical health is dependent, in large part, on your mental health. And your mental health is dependent, in large part, on your environment. 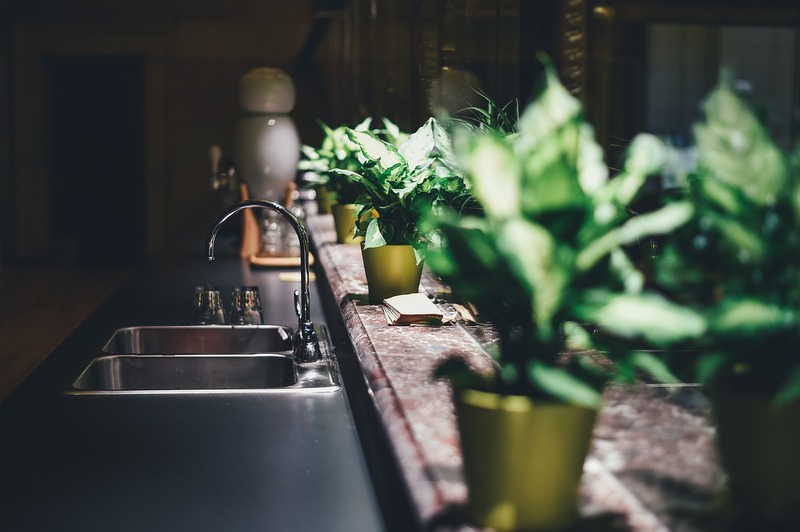 Making your living space feel more natural and connected with the outside can boost your mood and can even help those suffering from seasonal mood disorders. Open your blinds or curtains. Let in some natural light. You’ll be shocked at how far that goes to boosting your general wellbeing. Nowadays we use our bedrooms for more than just sleeping. We watch Netflix in bed, stare at our smartphones in bed, and even catch up on work email in bed. Many of these common habits can in fact be detrimental to your sleep patterns. Lack of sleep or poor sleep quality can negatively affect your health in a multitude of ways. Remove electronics from your bedroom. Reduce the amount of ambient noise and unnecessary light. Reclaim your bedroom as a sleep space only and you’ll find yourself getting better sleep and feeling more rested throughout the day.